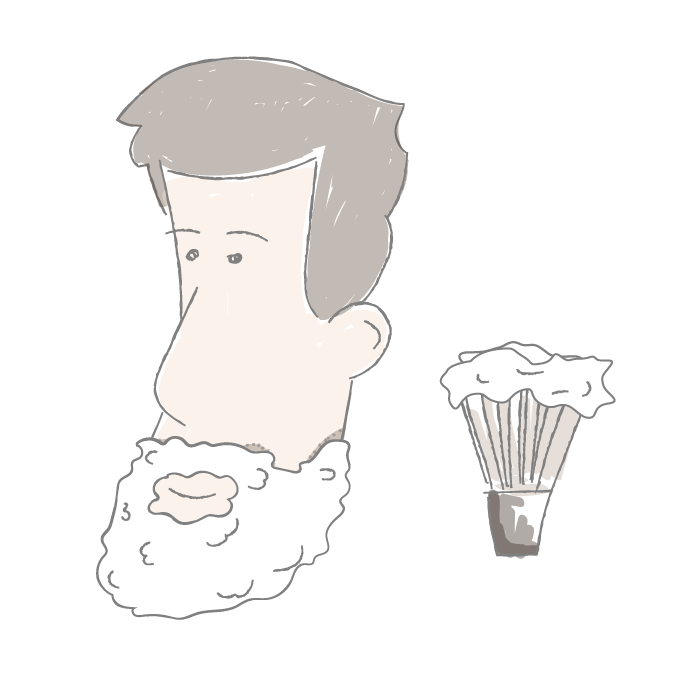 A man shaves an average of 12,000 times during his lifetime, removing approximately 2.5 km of beard hair each year. So it's probably worth making sure it's done properly. What do you need besides your Boldking blade? Your beard hair is as tough as copper wire! So you'll realise that it's important to think seriously about how you shave yourself. Warm water softens the beard hair so it's better to shave after showering. 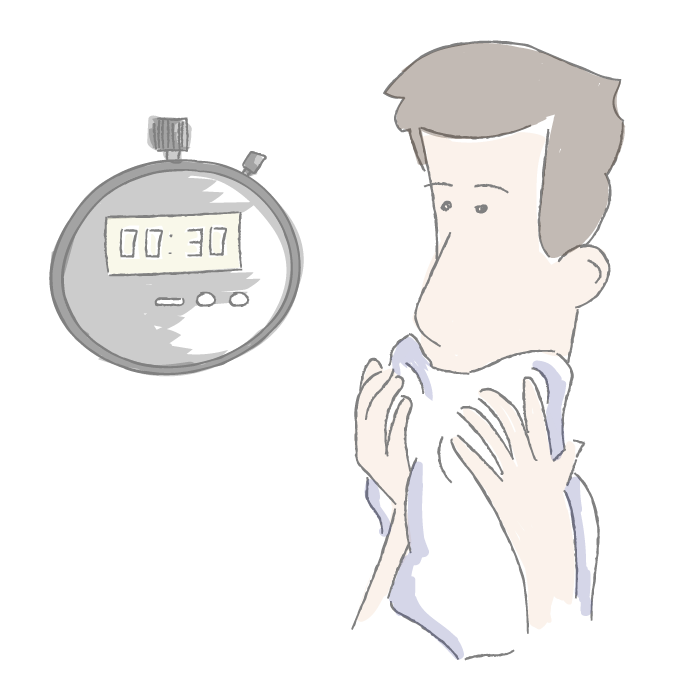 Otherwise, dampen a towel with warm water and hold it against your face for 30 seconds. Use a good quality shaving gel or shaving foam. 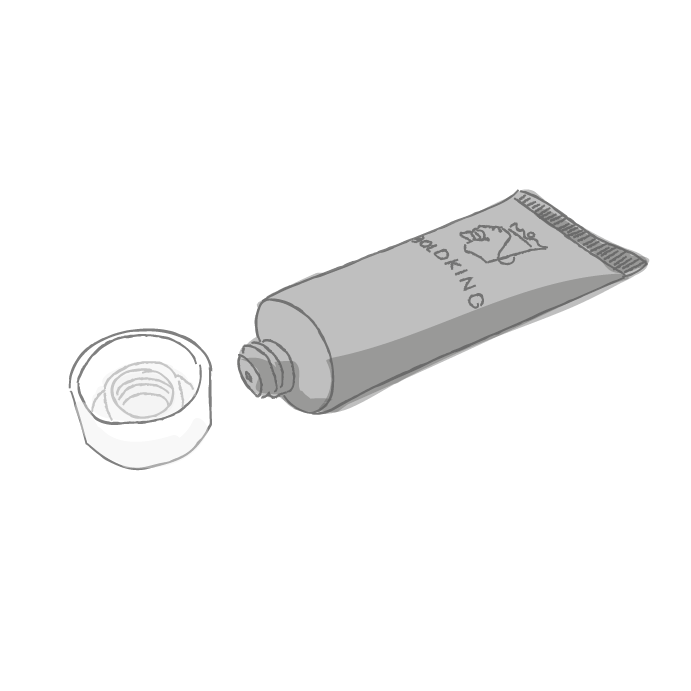 Wash your face with warm water, dispense some shaving gel onto your hand and apply evenly to your face. Leave for a minute or so to do its job. Always use a sharp blade*. That's absolutely essential as blunt blades can cause irritation and minor cuts. Shave in the direction your hair is growing - this may be different in different areas of your face. Start with your jaw, cheeks and neck and save your chin and upper lip until last. The hair in these areas is the toughest, and leaving it until last will give the gel or shaving foam more time to do it's job. 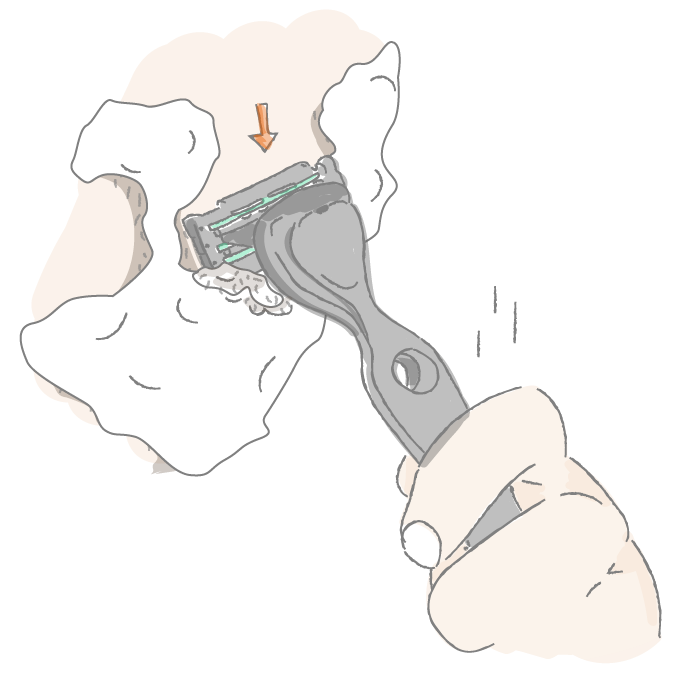 If you don't get a smooth result in these areas, then shave horizontally. Never shave against the grain! This way you avoid ingrown hairs, razor burn and rashes. 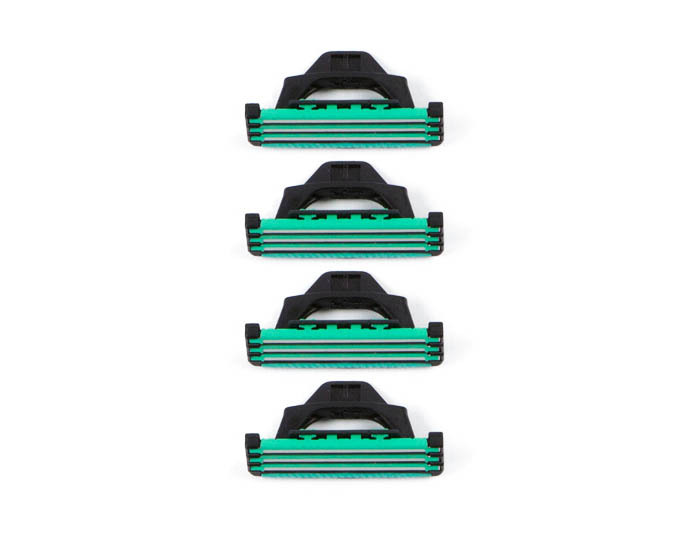 Regularly clean the razor blade with warm water during shaving. * Be extra careful when shaving your head with a new super sharp blade. Don't press the blade too hard onto the skin of your head to avoid any cuts. Splash your skin with cold water when you've finished shaving and pat your face dry with a soft towel. 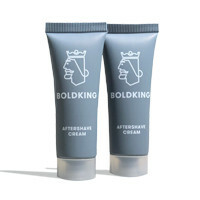 To protect your skin, we recommend you use the moisturising Boldking aftershave cream. If you use an aftershave, then you can apply it now. The alcohol in the aftershave disinfects small wounds and tightens pores.